What Is Paperless Record Keeping? Fed up with bits of paper chocking up your office? If the answer is Yes, then you are not alone. Time to join the revolution in record keeping and go paperless. What do we mean by going paperless. For most of us, we don't keep paper copies of our emails or letters, but we fear going that next step and stop keeping all our sales invoices, purchase invoices, receipts and other accounting information in the cloud. We fall foul of those tiny voices which say, the Taxman or your accountant want to see your original documents. This becomes your excuse and crutch to keep folders after folders of invoices stacked on shelves gathering dust for that just-in-case moment someone wants to see them. The honest answer is that the Taxman does not require to see reams of paper, he is quite happy with electronic records. And if he is happy, then your Accountant should be happy too! 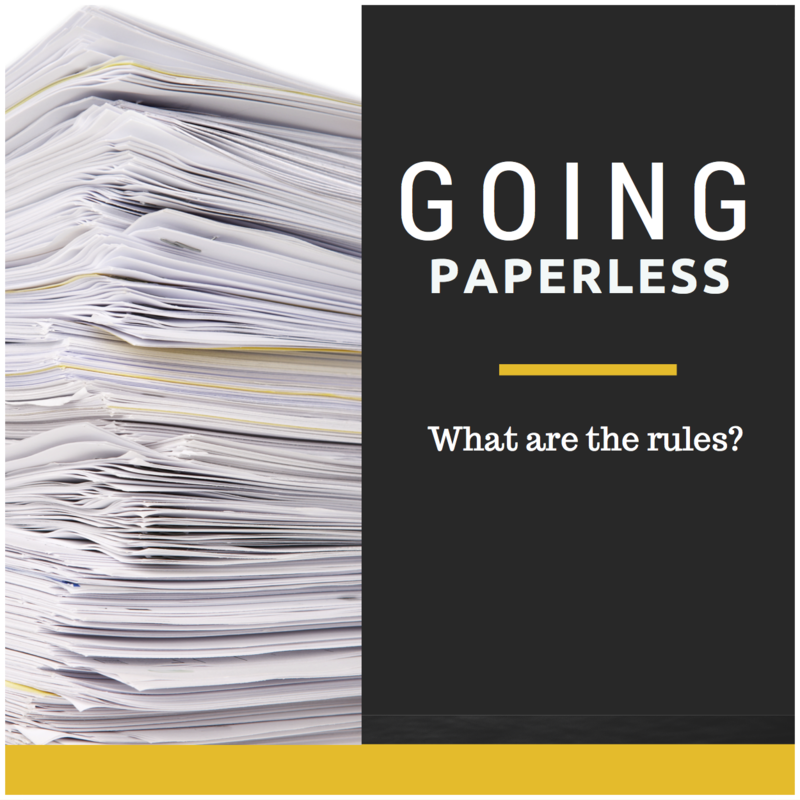 What Are The Paperless Record Keeping Rules? 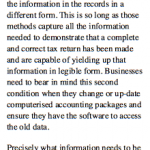 The Taxman's rules for record keeping go back to October 1998, published in Tax Bulletin No 37. Yes, so for the last 17 years the Taxman has been happy with paperless record keeping! 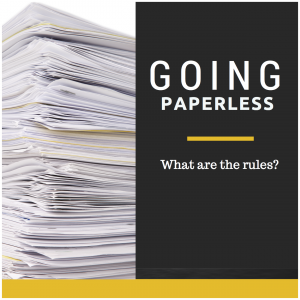 Going Paperless - The Legal Words From The Taxman! So follow their guidance in the bulletin and try to conform to the BSI guidance note on electronic document management systems then you are fine to go Paperless. What Is The Benefit Of Going Paperless? Improve the accuracy of your accounting system by matching all your transactions online to the original paper record as appropriate i.e. purchase to the original invoice which was sent to you. Allow your accountant to have access to your accounts via Xero from the comfort of their office saving you time and money. Improve your green and environmental credentials and show you are serious about corporate social responsibility for your business. How Does Xero Help You Go Paperless? Modern accounting systems such as Xero will comply with the above BSI Standard. This coupled with good house-keeping routines in your business using modern cloud based file storage systems such as Dropbox means you are fully compliant. It is as simple as that to go Paperless. Sign-up to Xero, tell your Accountant that you doing so and read up on the Taxman's guidance which is over 17 years old!